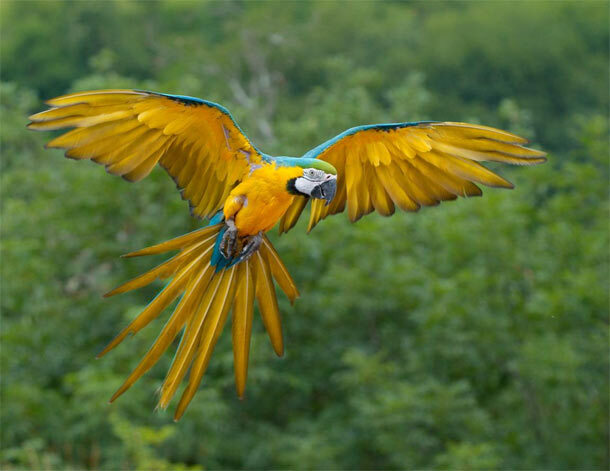 Blue-and-yellow Macaw is beautiful bird. They weigh roughly around 3 to 4 pounds. Wide wingspan of 3to 4 feet gives them good balance when they fly in the windy weather. 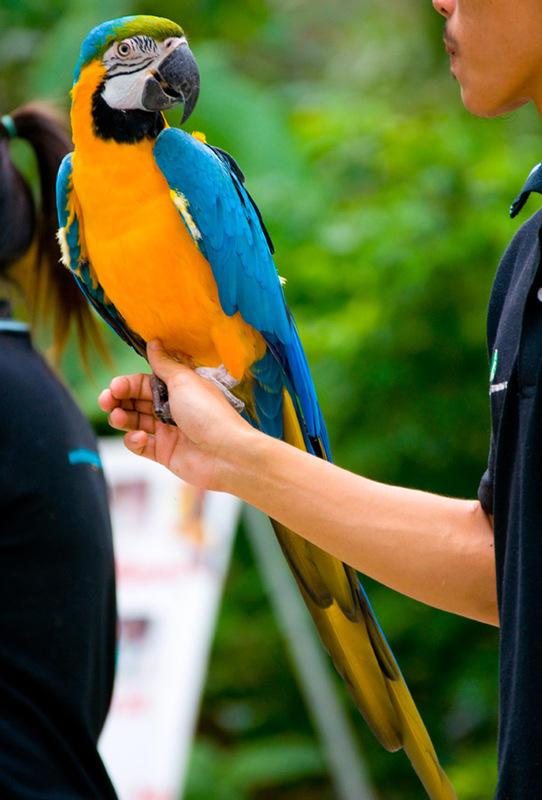 Blue-and-yellow Macaw comes from the Psittacidae family, which is basically a family of parrots who are seed eaters. Blue-and-yellow Macaws have lifespan may go up to 60 plus years. 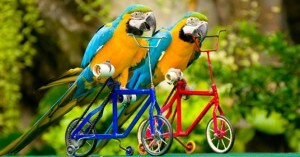 These parrots have golden yellow colored crest, blue turquoise blue wings and tail feathers. These birds fly together in a group in a large flock. Strong bleak that they use to crack the seeds and sometimes it helps them as a third foot. Habitat: By nature Blue-and-yellow Macaws prefer staying in the dense rainforests and make their artistic nests in the holler trees. In some cases, Blue-and-yellow Macaws are found around swamps, rivers and on the palm trees. Distribution: Blue-and-yellow Macaw is largely found in the parts of Panama and several other parts of Northern South Africa. Diet: Blue-and-yellow Macaws consumes plant based food i.e. herbivores. Most of their consumption includes fruits, nuts and seeds. These birds are fond of seeds from Hura crepitans trees that are from spurge family. Journey to the jungle exhibits one of the best varieties of Blue-and-yellow Macaw. Visitors get an opportunity to see this wonderful bird engaging in several mind blowing activities. Find beautiful species of birds and animals at Khao Kheow Open Zoo and enjoy fulfilling time with your family, friends and all the loved ones. The Blue Macaw is one of the most beautiful parrots in existence. Blue macaw is considered be the most beautiful species of bird in the world.